SEGA continues to play coy with their Sonic racing game, which has been rumored since February and officially teased since March. 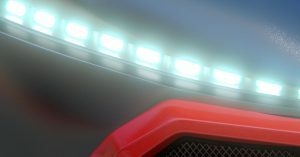 Today, the Sonic the Hedgehog twitter has released a picture of what appears to be…the headlight of Sonic’s car. This is the same headlight we saw in the teaser video that SEGA released back at SXSW, albeit minus the color. Stay tuned to Sonic Stadium, where we will bring you all the latest news…even if that news is just a picture of a car tire. Here’s hoping we will get the game’s name before it comes to that. 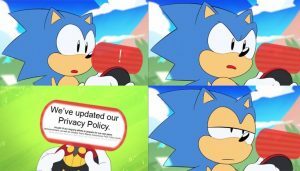 The official Sonic the Hedgehog twitter loves its online memes and it may now be using one to hint at some upcoming announcements. So we can probably expect the next episode of Sonic Mania Adventures by May 30. The “new game” is almost certainly a reference to the as-yet untitled Sonic racing game revealed a few months ago. It would be surprising if that game didn’t get a full reveal by the time E3 comes around next month.